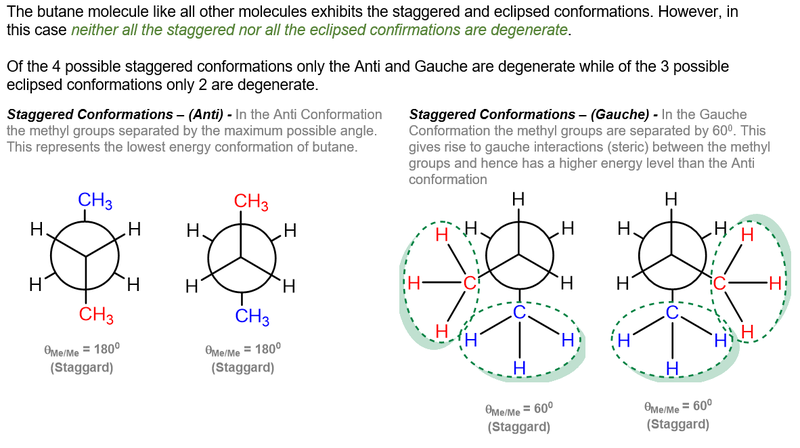 The Gauche conformation is a special type of staggard conformation that exhibits a gauche interaction. The gauche conformation occurs due to an unfavorable interaction called the gauche interaction that is steric in nature. It is easy to understand the conformation while studying the conformations of butane.